Kids walk into schools full of wonder and questions. How you, as an educator, respond to students' natural curiosity can help further their own exploration and shape the way they learn today and in the future. The traditional system of education requires students to hold their questions and compliantly stick to the scheduled curriculum. But our job as educators is to provide new and better opportunities for our students. It's time to recognize that compliance doesn't foster innovation, encourage critical thinking, or inspire creativity - and those are the skills our students need to succeed. 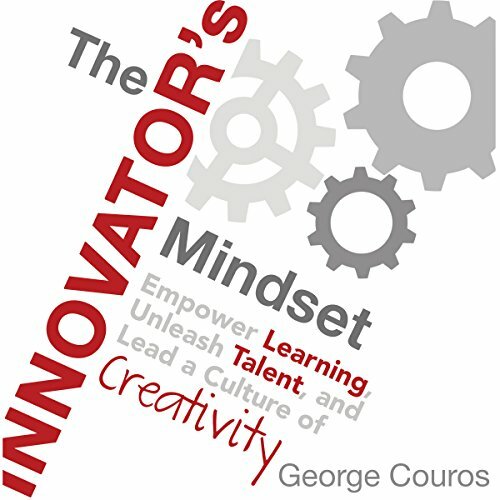 In The Innovator's Mindset, George Couros encourages teachers and administrators to empower their learners to wonder, to explore - and to become forward-thinking leaders. If we want innovative students, we need innovative educators. In other words, innovation begins with you. Ultimately, innovation is not about a skill set: it's about a mindset. ©2015 George Couros (P)2018 Dave Burgess Consulting, Inc. I listened to this book every time I got in my car for a week. Halfway through it I downloaded the Kindle version too and I’m now about to listen to the audio version for a 2nd time. This book is a pivotal read/listen if you’re an Educator. Everything I believe about Teaching as well as all the stuff I didn’t know I believed (!) IS IN THIS BOOK. Get acquainted with George on Twitter too - he has some really good thoughts both inside and outside of the box! I am so grateful for your commitment to learn, change, and share all you have learned. I appreciate knowing that learning should be an individuals passion. Changing the way we think and teach is a must. Finally, sharing what we have learned with others is how we help bring about change in our schools. I have learned so much from your genius book. 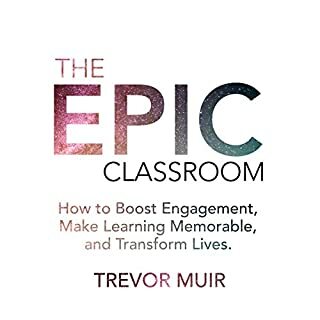 This is a must read or a must listen for every teacher. I know I will be listening to your audio book a few more times this school year. I will definitely be implementing digital portfolios as my first change. I will continue to change and be the teacher all children deserve, including yours. 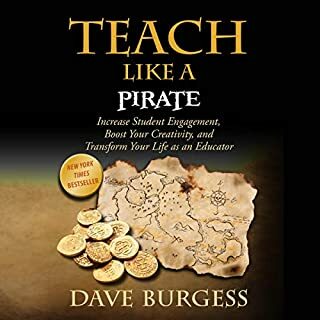 Thank you for the inspiration and wisdom you give all educators in this book! Pick any page and you'll find inspiration. 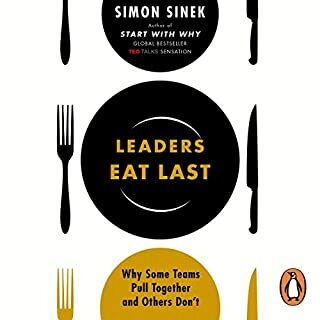 Loved this book cover to cover, the first in a long time I felt compelled to take notes because of the constant connections. I look forward to revisiting this book many times as a source of inspiration and reflection. Finally I have found my missing people that think and teach like I do! 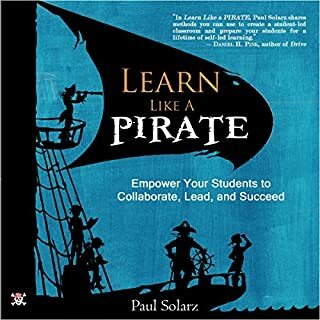 I am going to share this book with every teacher that will listen. אם אתה איש חינוך, מנהל או מפקח שמחפש להבין למה חדשנות בחינוך, למה יזמות ואיך זה הספק עבורך. Want a little push in the right direction this school year? This is for you! So good! This book was a great summer read and should be studied by all K-20 educators. I loved it! 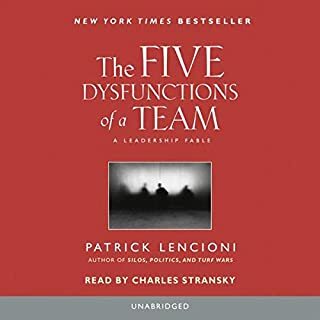 Easy to listen an find nugget to implement along each chapter. 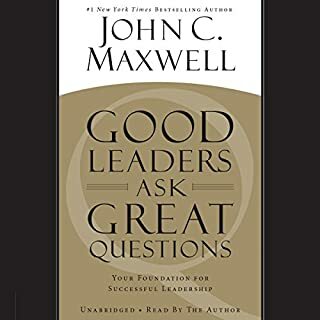 Questions to discuss and ponder at each end of chapter is nice . Outstanding work painting a strong vision about what our public education could be through innovation. George is a practitioner, not necessarily a researcher. A must read for all educators!